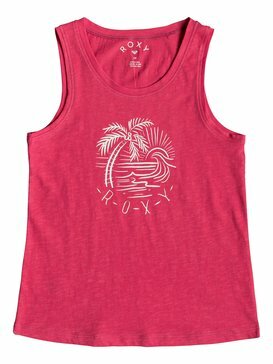 At Roxy, we have a passion for high quality girl’s tops and tank tops. Let’s face it: no wardrobe is complete without a few of these, but you cannot choose them anywhere. 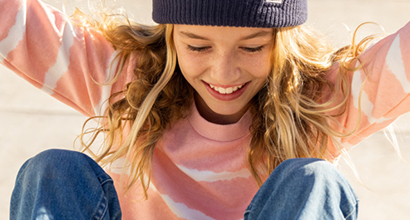 The most exciting collection of girl’s tops is only available at Roxy’s official online shop. Our team of urban queens, geeky tech experts and fashion pros is here to offer you a curated selection of girl’s tops and girl’s tank tops in which the only problem you are going to find is choosing just one. 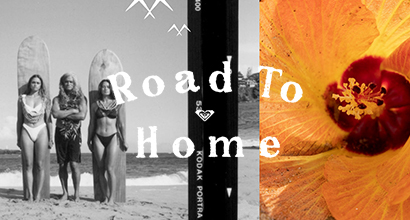 Take on the challenges of each day with the badass attitude of originality and style that sets Roxy girls apart. Why waste your time looking elsewhere when you know that we have what you need? 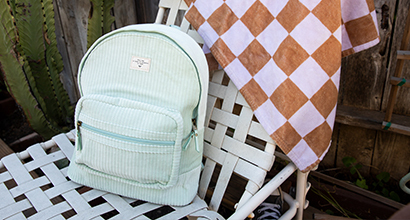 Girls who understand fashion and know what they want choose Roxy. There is no other brand that offers the same combination of factors that make us perfect: durability, high quality fabrics and a perfect sense of style are only some of them. 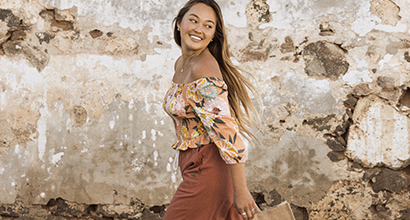 We have teamed up with professional athletes and high profile fashionistas to create each of our collections, and the results speak for themselves. 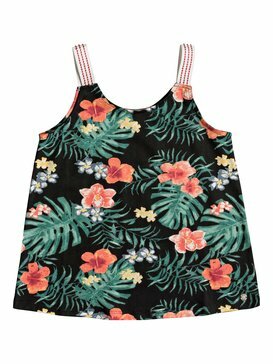 Our line of girl’s tank tops is so varied and fun that you are going to have a hard time making your mind: with halter neck tank tops, mock neck tank tops, spaghetti strap tank tops, vest tops for girls and high neck tank tops, our collection has something for everyone. 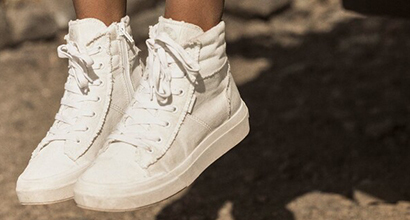 For us, the most important goal is to achieve the perfect balance between high fashion and comfort. This is why we choose fabrics that are amazingly soft to the touch and allow your skin to breathe. And, to ensure your satisfaction, we test each of our tank tops for girls before releasing them. This way, we make sure that each of them meets the highest international quality standards. 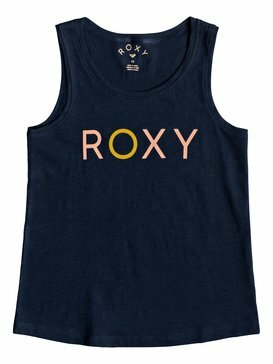 So now you know, no matter if what you want is a long tank top, a v neck tank top or a girl’s crop top, the best place to find them is Roxy’s official online shop. 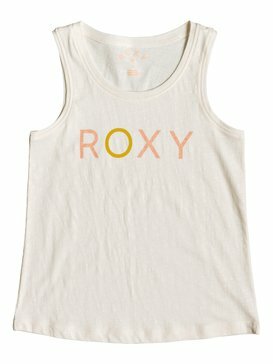 If you are going back to school soon, or planning a holiday; or even for a special night out with your friends, you need to complete your collection of Roxy’s girl’s tank tops. 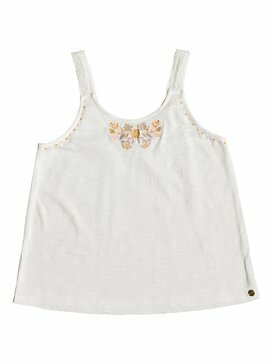 We would recommend to start with two classics that you can easily mix and match: a girl’s white tank top; or a girl’s black tank top. 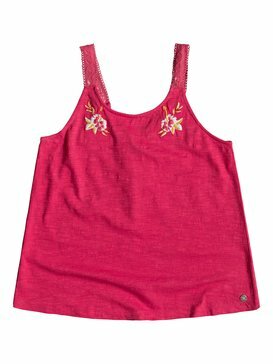 Then, for an added pinch of fun to your outfits, you can check out our selection of funny girl’s tank tops: they have great designs and vibrant colours, and are certainly a declaration of originality and style. Don’t waste another minute and come take a look at our amazing collection today! 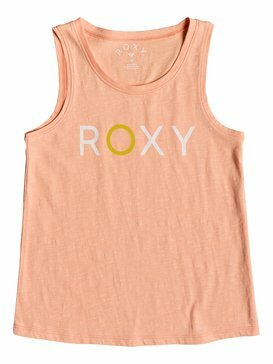 Buy Roxy’s girl’s tank tops online today! For the perfect shopping experience, you need to take a look at our website. Much more than just an online shop; a place to find the latest fashion trends and news and check out our collections. 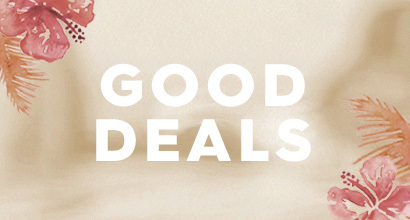 Buy with a few clicks and have your girl’s tops delivered to your doorstep in just a few days!